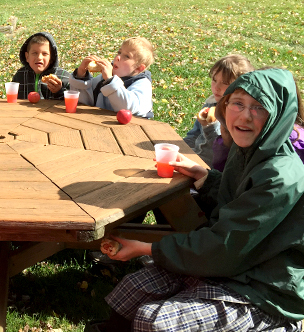 Located in Ridgway, Pennsylvania, our school district creates a peaceful, involved community, which we believe is the key to fostering a safe learning environment for our youngest learners and all the way through to our high school graduates. Our small school population ensures a true community environment, dedicated to the learning and success of all. We empower the 1,000 students in our three schools to succeed. The students in our schools reach out to get involved in our neighborhoods. High school students must complete 50 hours of community service before graduation and participate in job shadowing, readying them for college and the workforce. Our superintendent set goals for education, administrative structure and responsibilities, and long-range planning. Please view the evaluation of the superintendent's goals for the 2016-2017 school year. Where students will discover their purpose for today and their passion for tomorrow.